Time: We rehearse from 7.15pm – 9pm every Wednesday during school term times. A full list of term dates can be found here. Location: Our rehearsal venue is Barnstaple Rugby Club, Mill Road (near Rolle Quay). There is plenty of parking at the venue. Fees are termly, payable in advance at the beginning of each term. If you would like to try out the choir first, you may pay for a single session before committing to a termly membership. 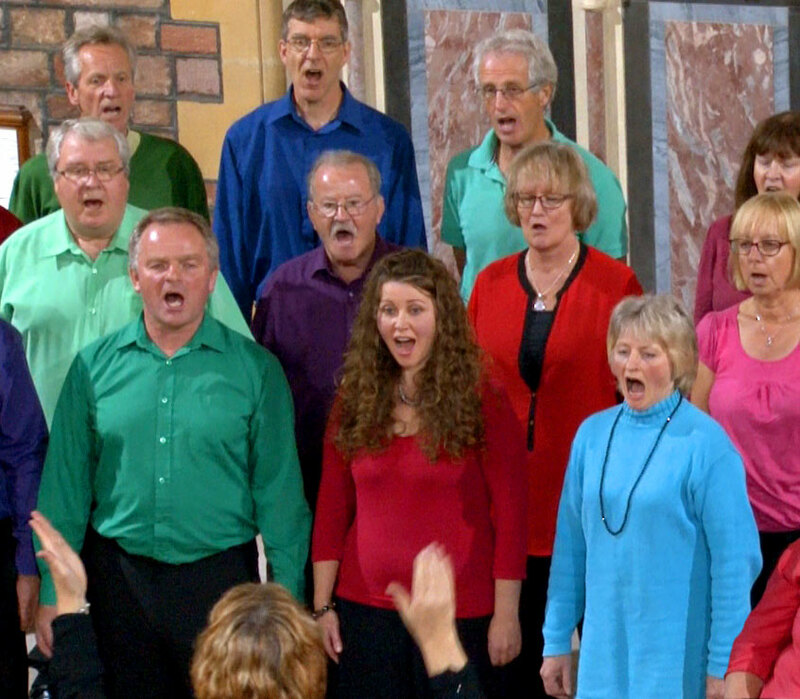 The Voice Community Choir is an open access choir – meaning everyone is welcome. We are not a church choir, classical choral choir, or a gospel choir – we sing a lively mix of songs, old and new, from around the world. Songs include some traditional songs, some gospel, as well as contemporary popular songs by artists such as Coldplay, Snow Patrol and Hozier. We are also well known for the number of foreign language songs we sing – songs from as close as France to as far away as South Africa. Our repertoire really is quite broad and there’s something for everyone. I have never sung in a choir before - does that matter? No – it does not matter if you have never sung in a choir before. Our community choir is open to all – regardless of experience. Will I have to audition or take a singing test to join the choir? Not at all. We never audition members to join our choir, nor do we make any judgement as to whether or not you are a good enough singer. As we like to say “every voice is welcome” … so just come along and enjoy singing with us. How do I know what part I should sing? It does not matter if you do not know which part you should sing with. You can join a group and sing with them and see how it feels… if it feels too high or too low for your voice … you just move to another group. You can try out singing in different parts until you feel you have found what is natural and comfortable to you….. and don’t worry, you do not have to sing on your own! Songs are taught by ear … not by reading music. Jackie, our choir leader, will teach the songs line by line by singing the song and the choir will copy her. This way… everyone can join in. For the words, song sheets are available here on the website, but many of the choir choose to learn the words by listening and repeating during the rehearsal process. I'm not a confident singer ... will I have to sing solo? No, you will not have to sing solo. As members practice new songs and learn to develop singing techniques… singing confidence will naturally grow. There are occasions when we will ask for volunteers to sing parts of a song in smaller groups or on their own. But this is purely voluntary … if you just want to sing as part of the larger collective … that’s fine by us. Just bring a bottle of water … and plenty of enthusiasm! Do I need to perform in concerts? We are a performing choir …. and so we do encourage members to join us at some of our concerts in North Devon. Many of the concerts we do are to raise money for charity and to support local events. We perform quite often throughout the year and although members are not expected to commit to every single one, we do encourage members to partake in some of the performances. Because of this, during rehearsals we make an effort to learn the words to songs so that we are all ‘performance ready’. In addition we also run a ‘Micro Choir’ – this is for more confident singers who are keen to perform in a smaller group at Open Mic nights in the area. Do I have to book to come along in advance? No – you can just turn up! However if you would like to talk to anyone before coming… please feel free to contact us. I would like to book your choir to sing at an event - who do I contact? Here you will find many answers to your questions, but if there is something not covered here that you would like to know…. please get in touch and we will be happy to help.